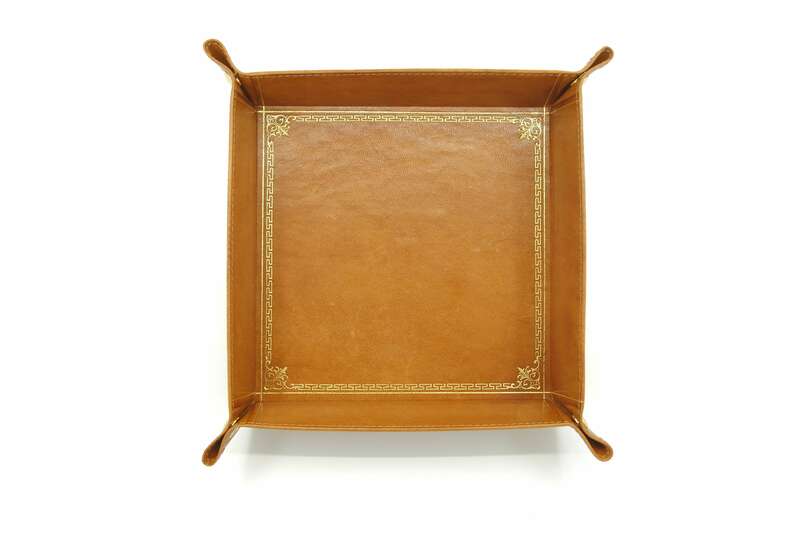 This leather tray is made from cognac ram hide by Scuola del Cuoio in Florence. 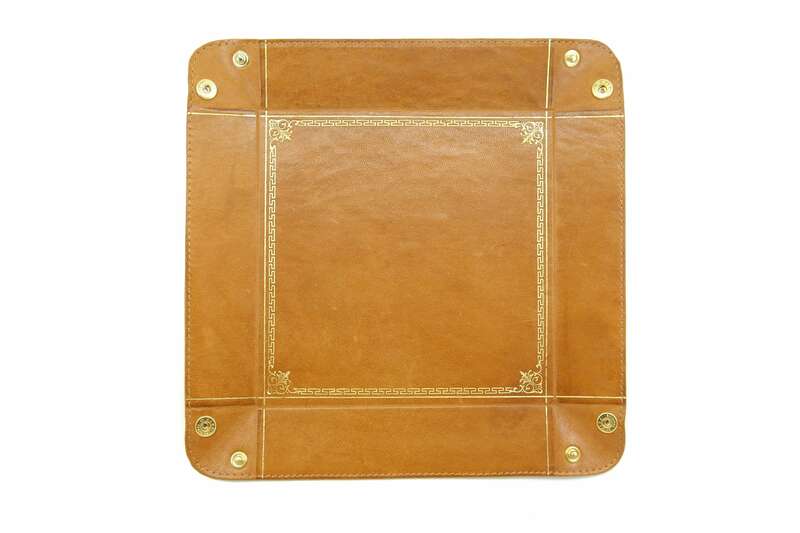 The leather is sourced regionally, vegetable tanned and hand painted to obtain a beautiful antique finish. The 22kt gold decoration is also applied by hand and emphasizes the classic style. Snap buttons in each corner of the tray ensure a quick assembly and disassembly. Whether you’re travelling for business or pleasure, this tray will become an indispensable companion in hotel rooms around the world. 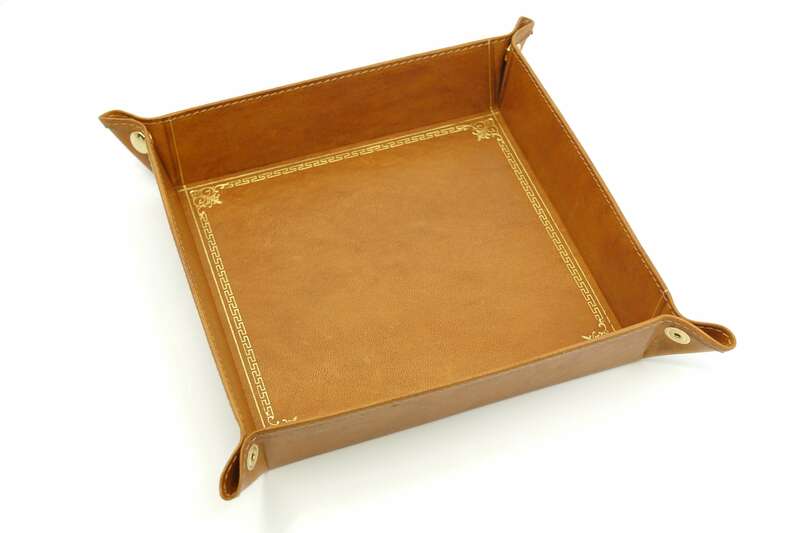 This tray measures 18x18x4 cm inside. The size was exclusively developed for us together with Scuola del Cuoio. 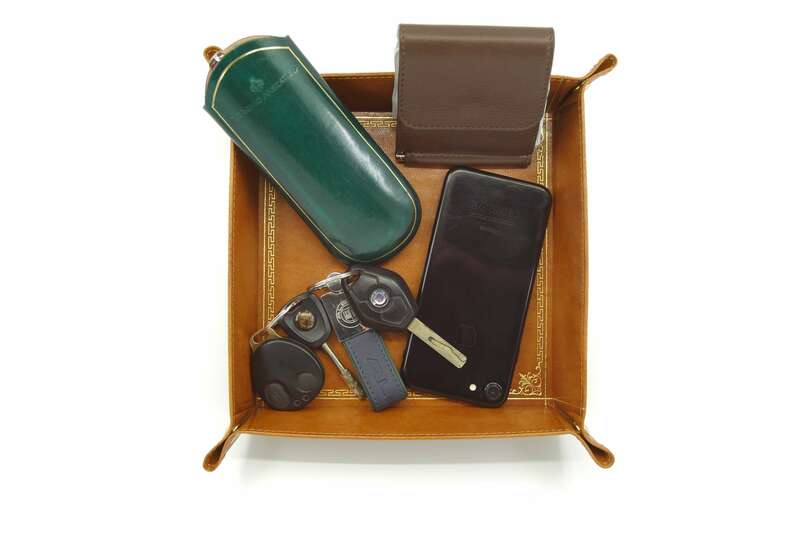 It ideally serves just like a bowl to accumulate keys or as a place to store your everyday-carry overnight. Our small leather goods are made by Scuola del Cuoio in Florence. The historic leather school was founded after the second world war in the Santa Croce district of Florence. They train the most skillful artisans from all over the world the traditional craft of creating hand made leather goods. Politicians and celebrities from the present and the past like Dwight D. Eisenhauer, Ronald Reagan, Cary Grant and Audrey Hepburn have been amongst the clients of this family operated business.